Strong and Lightweight: Dimple plate is lighter without sacrificing strength compared to mill finish. The dimple process increases the strength to weight ratio. 2mm plate thickness can be used without sacrificing strength. The increased surface area of the dimple plate aluminium also helps to insulate and dissipate heat. Save 20% in Weight Compared to Mill Finish! Damage Resistance: Rimex patterns will disguise scratches and dents, hence lengthening product life and reducing maintenance costs. 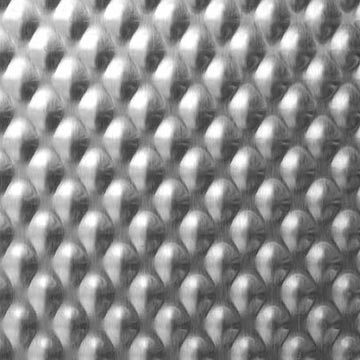 Aesthetics: In addition to the functional advantages of the dimple plate, the dimple pattern changes the way the light is reflected from the plate surface, resulting in an optical flatness. Due to the flat, smooth nature of this material we utilise a 2.5mm thick sheet for the construction of our canopies, campers, and toolboxes to gain the optimal strength to weight ratio. This material is commonly utilised for projects that require power coating or Vinyl wrapping, however, customers will also leave the material in its raw form. Please note: Some material and handling marks might be present and is a normal part of aluminium fabrication. Due to the increased thickness of the sheet metal, Mill finish sheets are slightly heavier compared with checker plate(10%) and dimple plate(20%) designs however still maintain alight overall weight compared with steel or even fiberglass alternatives. Checker plate is one of our most popular building materials and is used on most of our toolboxes and canopies. High Fatigue Strength: low density (lightweight) and excellent thermal conductivity with high corrosion resistance properties. We most commonly utilise 2mm Checker Plate in the construction of our toolboxes, canopies and campers in order to gain the optimal strength to weight ratio. Damage Resistance: Checker plate patterns will disguise scratches and dents, hence lengthening product life and reducing maintenance costs and Cleaning. What Does "Marine Grade" Actually Mean? 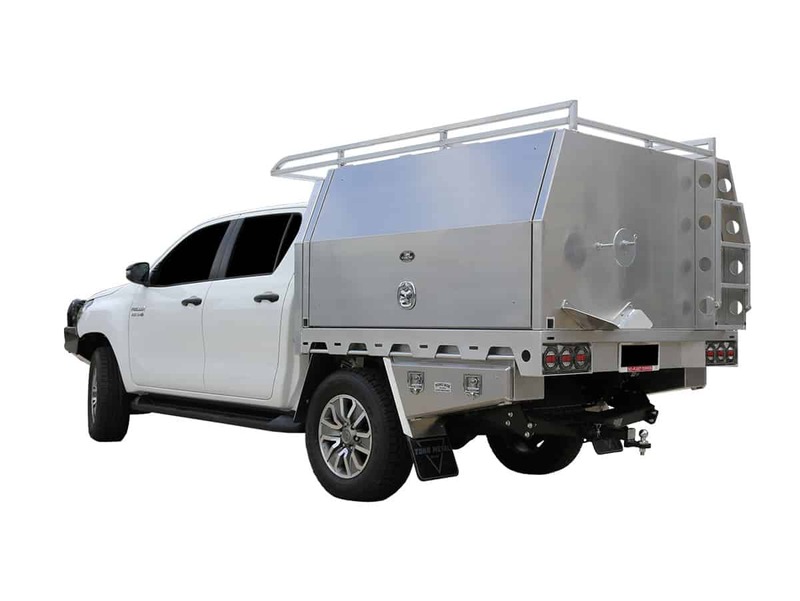 The term “Marine Grade” is a commonly quoted by aluminium manufacturers, but what specific impact does the grade of aluminium actually have on the construction of slide on campers, ute canopies and tradesman toolboxes? 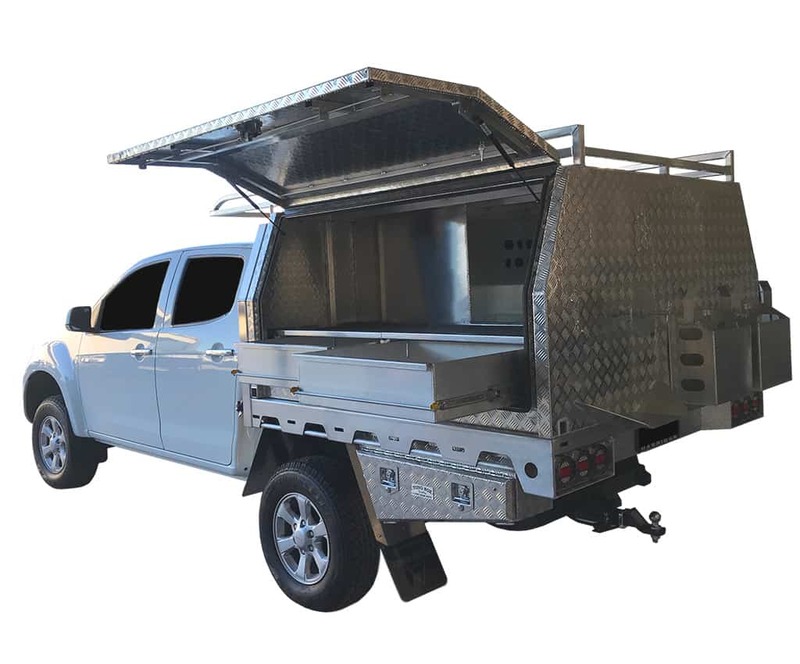 High fatigue strength to ensure the canopy, camper or toolbox can withstand the constant vibration and flex experience when driving on corrugated roads. This blend of aluminium alloy has excellent anti-corrosive properties: The material is designed for harsh marine conditions, therefore, can easily handle the elements experienced outside during road/ off-road travel. Increased weld-ability and weld strength compared with alloys of lower grades.